Readiness to learn upon entering school is now recognized as critical to the success of students. Since 1998-99, an Early Development Instrument (EDI) has been used to measure child development across five domains: physical health and well-being, social knowledge and competence, emotional health/maturity, language and cognitive development, and general knowledge and communications skills. Yet recent Canadian national and provincial surveys, conducted by McMaster University’s Offord Centre for Child Studies, continue to show that one in four children (26%) are ‘vulnerable’ in one or more areas of development before entering Grade 1. The latest province to embrace the Early Child Development movement is Nova Scotia. In late November 2014, its recently renamed Department of Education and Early Child Development became the nineth (second last) province to conduct and release its EDI survey results. To virtually no one’s surprise, some 26.8% of pupils entering primary school face learning challenges. Physical health and well-being posed the biggest hurdle for kids and in three of the province’s eight school boards, Tri-County RSB , South Shore RSB, and the Strait RSB, one in three primary schoolers (33.6 to 40.8%) showed vulnerability in at least one area of development. The Nova Scotia statistics, based upon teacher surveys in 2012-13, only confirmed what many previous reports have shown — that Canadian provinces lag behind other developed countries when it comes to the state of early childhood development and care. It also begged the critical question –what’s standing in the way of tackling this fundamental educational policy matter? 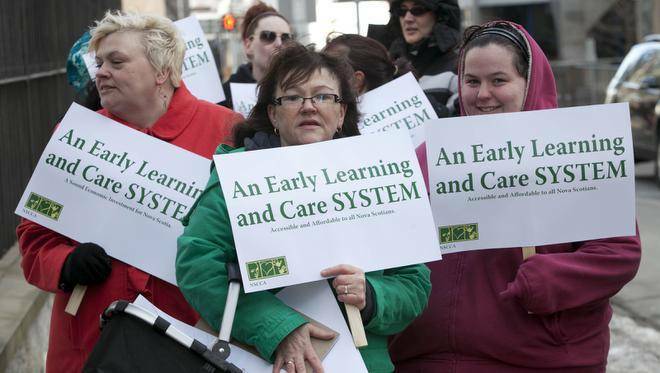 Early childhood education across Canada is still mostly provided in piecemeal fashion. In most provinces, except for Quebec, their is a gap between the end of parental leave and the start of formal schooling, during which parents are left on their own. Where private day care is available, it is often prohibitively expensive and alternative cooperative day care is usually in short supply. The quality of “child care” is highly irregular, judging from provincial regulatory reports and periodic shutdowns. While the federal and provincial governments in 2011 provided over $11 billion of funding, spending on the ECE sector still lagged behind that of other advanced nations. In November 2012, TD Economics estimated that it would take another $3 to $4 billion in investment to bring Canada up to the average of other industrialized countries. Across Canada, of the $7.5 billion spent by provinces and territories, the allocations averaged only 1.53% of their total budgets, ranging from 0.59% in Nunavut to 4.67% in Quebec. Passionate advocates for universal ECE are fond of claiming that it works miracles and has substantial long-term dollar benefits. Most studies, largely funded by Child Development or Child Welfare organizations, estimate that the benefits of early learning far outweigh the costs. For every dollar invested, the claimed benefits range from roughly 1.5 to almost 3 dollars, with the ratio rising to double digits for disadvantaged children. Such investments do save us later in terms of the longer-term expenses for juvenile justice, jails, welfare and income supports. Even so, quantifying these benefits is not an exact science, in spite of the claims of advocates. 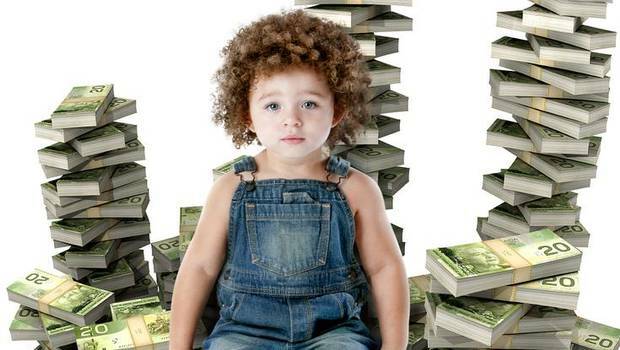 Early childhood education initiatives tend to be expensive and run into cost over-runs. Ontario’s full day Kindergarten program, beset by escalating costs and overcrowded sites, is a case in point. A more modest venture in Prince Edward Island is proving to be more successful. The soaring costs of Quebec’s universal program are, however, enough to deter late adopters like Nova Scotia. Quebec’s current $7-a-day early childhood program is so costly that it may not be sustainable in its current form. Since its inception in 1997, the $2.7 billion program has become what Konrad Yakabusky recently termed “a sacred cow.” Proposing to raise the daily rates to $20 for those earning over $50,000 has recently sparked a political firestorm. Pointing out that Quebec’s subsidized daycare sites have much higher child to staff ratios ( 5:1 vs. 3:1 to 20:1 vs. 12:1) compared to other provinces gets you nowhere with young working parents. It’s also hard to prove that the Quebec program has improved the employment rate of women of child-rearing age. Early childhood development still deserves to be identified and acted upon as an educational priority. Public spending on early childhood care and education continues to lag and we still rank last (at 0.5% of GDP) among comparable European and Anglo-speaking countries. Looking at total spending, including child payments, parental leave benefits, and child care support, we remain 17% below the OECD average. Parents, except those in Quebec, pay 50% of the program costs, fourth highest among the OECD countries. Now that our federal treasury is back to surplus, early learning should be a much higher national priority than doling out special, targeted tax exemptions, expressly designed to snare votes. What’s standing in the way of a more committed, robust investment in Early Child Development at both the national and provincial levels? Given the countless reports demonstrating the learning challenges facing young children, how much longer can it be ignored or subject to underfunded, piecemeal public fixes? Whether we decide to go universal or to target our early years investments, isn’t it time to take on the fundamental public policy issue? 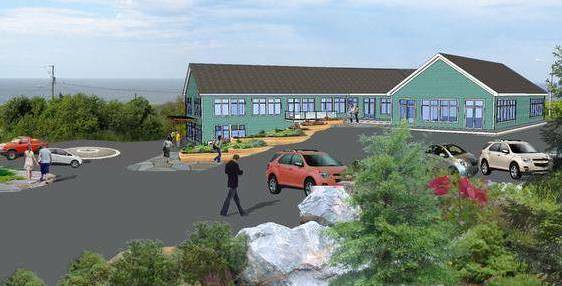 The Daycare Project: Will the Ten Lessons from PEI and Quebec Work Elsewhere? The Toronto Globe and Mail’s six part series, The Daycare Project, has put Early Years Education back where it belongs on the public policy agenda. From October 19 to 26, Erin Anderssen and her team did a masterful job presenting the challenge facing the Canadian and provincial governments attempting to provide safe, secure, high quality daycare and early years education. Proponents of universal state funded early learning, championed by Margaret McCain and the Canadian Council for Early Child Development, are doggedly determined in making their case. While The Globe and Mail series had a universal publicly-funded early learning tilt, it also demonstrated quite conclusively that the Quebec model of $7.00 per day early learning costing $2.3 billion annually is cost prohibitive in other provinces. Indeed, Quebec’s current plan accounts for two-thirds of the $3.7 billion now being spent by all governments. The Daycare Project series went beyond simply analyzing, once again, the public policy conundrum, and attempted to look for successful models that might be applicable in other countries or provinces. A survey of daycare regimes in seven different countries seemed to give the nod to that of Sweden, a universal, affordable, education-based system developed over a 20 year period from 1970 until the early 1990s. The Swedish model is highlighted, but no mention whatsoever is made of Finland where early education begins at age 7. Most educational comparisons of Sweden and Finland tend to highlight the superior performance results achieved by Finnish students. When it came to Canada, The Globe and Mail, for once, looked to a province other than Ontario for its exemplar. “For a top-notch child care system close to home,” Anderssen stated, “Canadians should look to the nation’s smallest province.” In choosing PEI as the best Canadian model, the series ruled out Quebec as being too expensive and instead endorsed a model combining public and private services, but largely architected by Kathleen Flanagan, an OISE student of Dr. Charles Pascal. In short, the PEI model is Ontario, modified and improved. Most of the identified “lessons” are sound, but it’s difficult to accept the idea that the PEI model is scalable. It’s a tiny province with a population of 140,000, one-tenth the size of Montreal, with fewer than 6,000 children under five years of age. The total cost of its early childhood education initiative is only $7 million, compared to the more than $2.3 billion Quebec child care system. Declining school enrollments also mean that PEI schools have plenty of surplus space, unlike most of Canada’s fast growing suburban school districts. Omitting Ontario from the cross-national comparison was quite instructive. While the Ontario Liberal Government has been quick to proclaim the success of its $1.5 billion full-day kindergarten program, the jury is still out on its effectiveness. By imposing full-day kindergarten, that province has incited much opposition, mainly centred on its full steam ahead bulldozing strategy. Why did Ontario become such an early learning battleground? Private and coop day care operators facing dislocation have found common cause with the Institute of Marriage and Family in Canada. The universalists, spearheaded by Dr. Pascal, hit a brick wall in the form of Don Drummond whose 2012 Austerity Report dismissed full-day kindergarten as an unaffordable social program. In addition, family values advocates have found the weak spot in the Ontario plan – the by-passing of the family in the continuum of early child care. In many ways, there is much more to be learned from Ontario than from Quebec and PEI on the matter of achieving better early childhood education. Where might Canadian education policy makers look for models of how to improve early childhood education in Canada? Why are the Quebec and Ontario models no longer seen as viable, affordable policy options? Do provinces like Nova Scotia have more to learn from Ontario and Finland than from PEI? Where do parents and families fit in the proposed childcare models? In simplest terms, who is framing the national early learning debate, and for what real purpose? 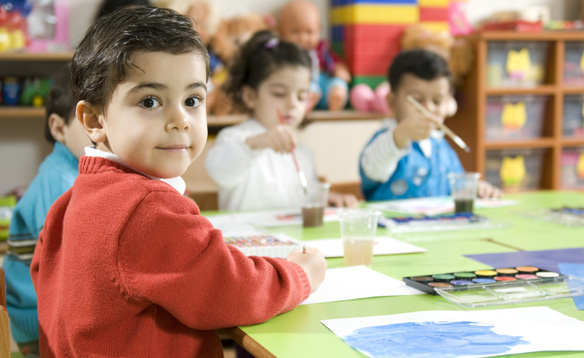 Early Years Education: Is Universal Early Learning Affordable – or Desirable? A recent Ontario study of some 700 children attending the new Full-Day, Two-Year Kindergarten program claimed that the first cohort was better prepared to enter Grade 1, showing strong language development, improved communications skills, and better social skills. That report was welcome news for an Ontario Liberal Government, now headed by Kathleen Wynne, that has staked its reputation on a $1.5 billion program that critics characterize as an expensive form of government controlled day care. If the gains are real, then the key questions become – do the gains justify the enormous costs and will the head start last? British Columbia, Prince Edward Island, and Quebec also offer all-day Kindergarten, but Alberta has delayed its planned implementation because of financial pressures. In Nova Scotia, the Darrell Dexter NDP Government has followed a curious, meandering course. 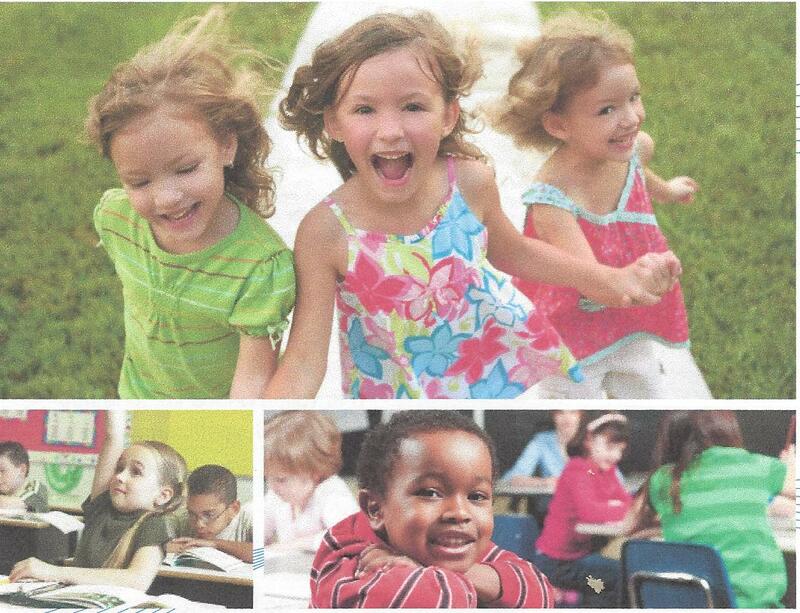 On August 22, 2013, on the eve of a provincial election, Minister of Education Ramona Jennex announced the plan to open four little bundles of joy – in the form of spanking new Early Years Centres for young children in elementary schools scattered across the province. Initial indications are that universal early learning in Nova Scotia, if it materializes, will most likely be implemented piecemeal, in stages. Early learning advocates, inspired by the late Dr. Fraser Mustard and his Council on Early Child Development, have long identified Nova Scotia as a laggard among the Canadian provinces. 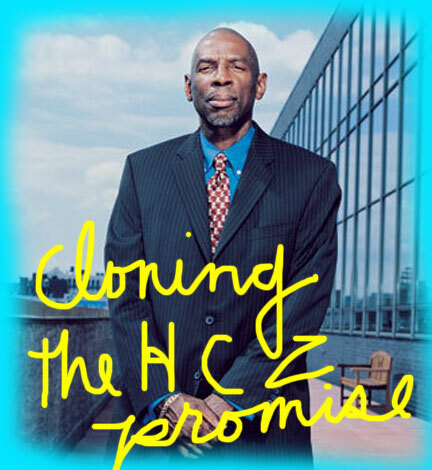 In November 2011, Dexter and his cabinet were stung by the CECD’s Early Years Study 3 ranking Quebec and P.E.I. as tops and giving Nova Scotia low marks (five out of 15 points) for its current patchwork of programs. Since then pressure has mounted on the NDP government to embrace universal, publicly-funded ECD starting at age two in Nova Scotia. Universal, publicly funded programs like that in Quebec, where parents pay $7.00 per day per child, have proven to be enormously expensive. Former Liberal cabinet minister Ken Dryden made an initial effort, but it stalled in 2006 at the federal level and the campaign was, until 2010, sputtering in both Ontario and Nova Scotia. With the passing of its legendary champion Dr. Mustard, philanthropist Margaret Norrie McCain started carrying the torch for universal, state-funded early learning programs, utilizing the considerable influence of the Margaret and Wallace Family Foundation. Eighteen months ago, with Ontario’s Liberal government threatening to scale back on its $1.5 billion full day junior and senior kindergarten (FDK) spending, McCain and the universalists began focusing on Nova Scotia. On February 9, 2012, she secured a private audience with Dexter. That’s what finally swayed the cautious-by-nature Premier. One Thursday in late May 2012, Dexter visited a Halifax family resource centre and—without any warning—announced that Nova Scotia was embarking on Early Years programs in a big way. He unveiled a discussion paper, Giving Children the Best Start, and local media scrambled to report that a previously unannounced advisory committee would be producing a go ahead plan within a month’s time. The policy paper recycled CECD research and claimed that one out of every four Canadian children “arriving at school with vulnerabilities” was “more likely to fail” out of school with limited life outcomes. Not surprisingly, it strongly endorsed a universal, school-based, state-funded early childhood education program for children as young as two years. When Dexter and Jennex welcomed the report, it looked like the NDP government was preparing to buck the national trend to austerity by embarking on a costly public spending program. In July of 2013, the McCain Foundation greased the wheels by investing $500,000, at $100,000 a year, to kick-start the program and fund Early Years Centres. Nova Scotia’s bold plan for universal Early Childhood Development will, it is now clear, be entering the province through the back door. That way the government can side-step and delay the whole thorny issue of accommodating the 220 existing private day cares and 160 non-profit day cares currently operating here in the province. Going to the top is the preferred mode of operations for those promoting single platform publicly-funded programs for every child. The lighthouse universal ECD program, after all, was initiated by the late Dr. Mustard and fully implemented in Fidel Castro’s Cuba. Top down leadership worked in Quebec, Ontario and P.E.I. Here in Nova Scotia it has – so far– produced a typical ad hoc, staged implementation policy response. How beneficial is universal, government-run Early Learning? Should such universal programs begin as early as age 2? Are such universal programs affordable for governments facing long-term financial challenges? What’s the impact of introducing such programs on families, as well as private and coop (not-for-profit day) cares? What is gained – and lost- in implementing a single platform system? The Touch-Screen Toddler: Do Toy iPads Endanger their Minds? Today parenting and educating young children tends to involve some form of interaction with digital technology. Gone are the days when homes only had one television, reserved for the parents or rationed with scheduled viewing times. Now smartphones and iPads can be found on most tables and kitchen counters within easy reach of those little arms and impossible for very active toddlers to resist. Thousands of kids’ apps have flooded onto the market. Awash in digital devices, childhood is undergoing a major transformation right before our eyes. Like every other new medium since the dawn of the TV age, the touchscreen device has been roundly condemned by many parents and a host of early learning specialists. One of the earliest critics of the proliferation of computer screen technology was Dr. Jane M. Healy, author of the 1990 best seller Endangered Minds: Why Children Don’t Think – and What We Can Do About It. She is famous for coining the term “zombie effect” and for raising serious concerns about exposure to television and later to computers in the early years of education. The much revered TV show “Sesame Street” attracted her critical eye, and she took a dim view of the program because it encouraged “a short attention span” and “failed to address the real educational needs of preschoolers.” Her 1999 book Failure to Connect extended her critique and raised alarm bells about the dangers of exposing young children to computers. Early digital technology skeptics like Healy were gradually overtaken by the digital revolution. Back in 1999, the American Academy of Pediatrics still discouraged television viewing by children under 2 years of age. Childrens’ doctors strongly advised that time was far better spent in “direct interactions with parents and other significant caregivers.” Pediatricians continued to urge caution, but by 2006 some 90 per cent of parents reported that their children younger than 2 consumed some form of electronic media. That was before the spread of “iPad” app pacifiers and even iPad toys for toddlers. More than two decades after the appearance of Endangered Minds, Jane M. Healy, has slightly adjusted her thinking and now advises caution and using digital technology in moderation. “Meaningful learning — the kind that will equip our children and our society for the uncertain challenges of the future , ” Healy writes, ” occurs at the intersection of developmental readiness, curiosity, and significant subject matter. Yet many of today’s youngsters, at all socioeconomic levels, are blocked from this goal by detours erected in our culture, schools, and homes.” Schools of the present and future, she now recognizes, need to come to terms with the reality of IT and close the gap between traditional teaching and personal digital learning. “Fast-paced lifestyles, coupled with heavy media diets of visual immediacy, beget brains misfitted to traditional modes of academic learning.” That sounds like promoting a convergence of old ways with new the digital technology world. Children are becoming “digital natives” at younger and younger ages. What’s the impact of increasing exposure to touchscreen technology on the brain development and behaviour of the tiny tots? How wise is IT guru Marc Prensky in allowing his young son to play with technology at any time with few if any limits? Why has Dr. Jane Healy changed her position on the dangers of early exposure to TV and digital technology? Is moderation and responsible use still possible in our touchscreen mad world?